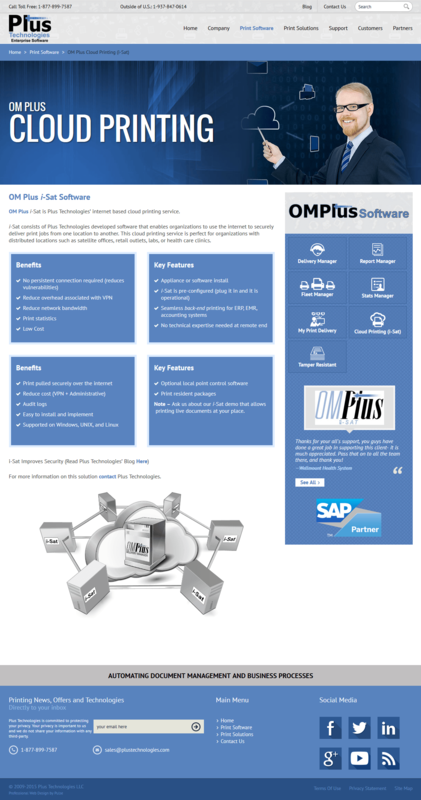 Plus Technologies is a global provider of innovative solutions for output management, printer fleet management, managed print services, and document routing challenges. 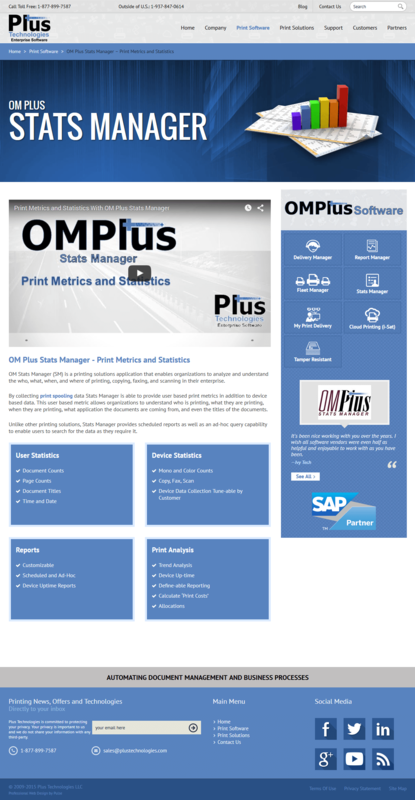 Located in Ohio, the company provides robust, scalable, and cost-effective printing solutions to enterprises of all sizes in over 30 countries. The client’s website was popular among the target segment, but the slightly outdated features and design of the existing website were constraining interactive user engagement and future growth. The need to redesign and revamp the website for optimised user experience was imperative. After studying the client’s business and its contingencies, we conducted a detailed study to analyze the client’s needs and requirements. 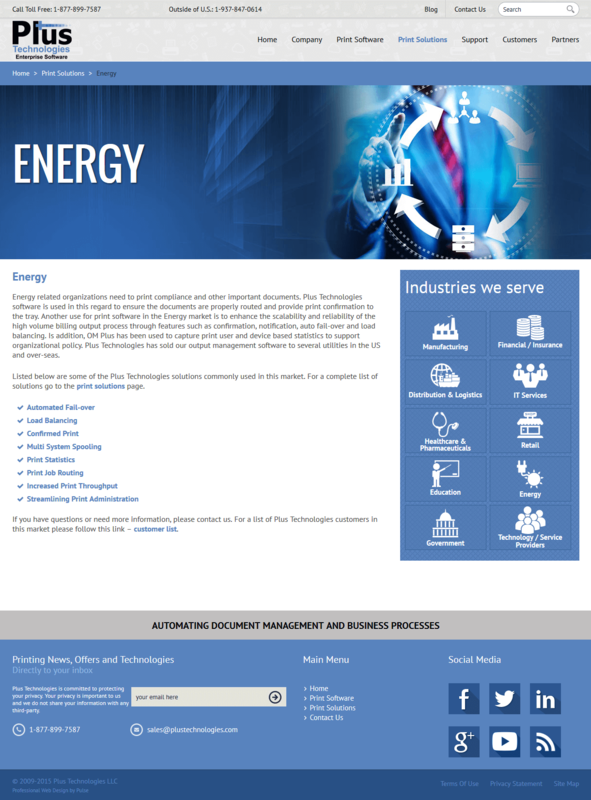 Working closely with Plus Technologies, we created several layouts and zeroed in on a feature-rich WordPress theme to power the client’s website. 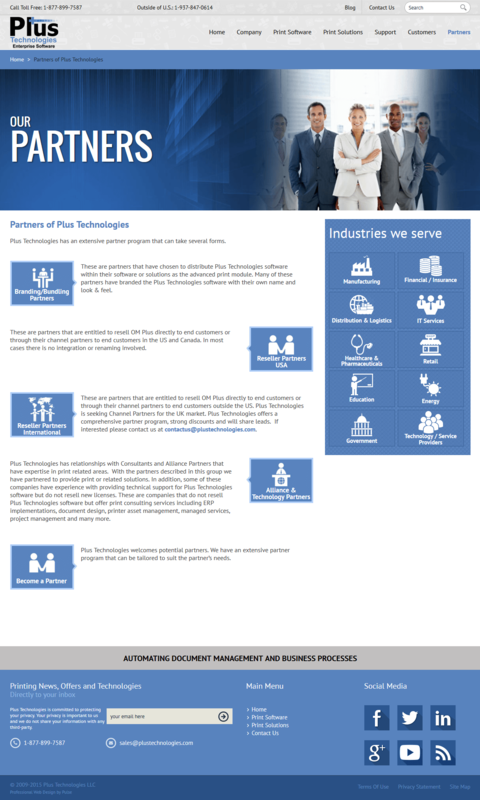 We helped Plus Technologies to stay ahead in the competition and gain traction in the market with the new and improved website.